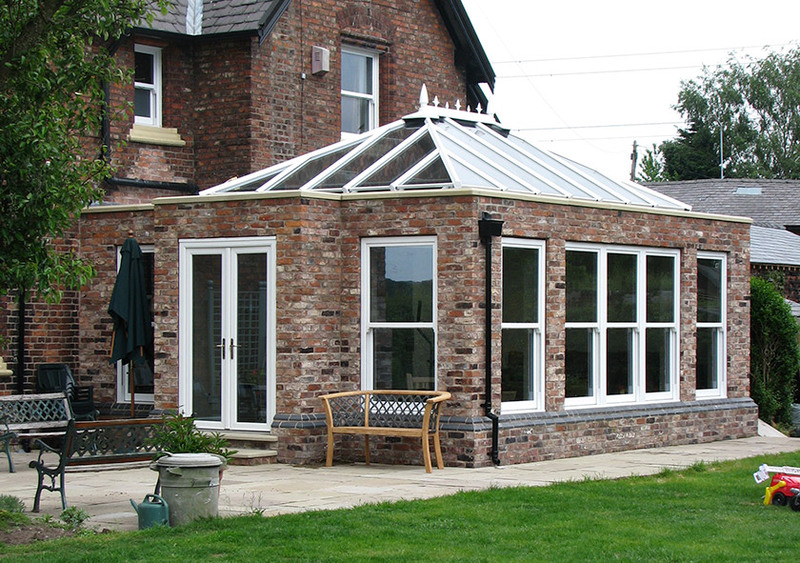 An orangery from DW Windows doesn’t just offer an extra room – it offers versatile space. Warm, peaceful, and comfortable all year round, your orangery can be used for anything from entertaining to relaxing. Designed specifically with natural light in mind, an orangery from DW Windows will look and feel bright, spacious, and modern. This combination of factors makes for a truly impressive living space, and one that is equally appealing inside and out. 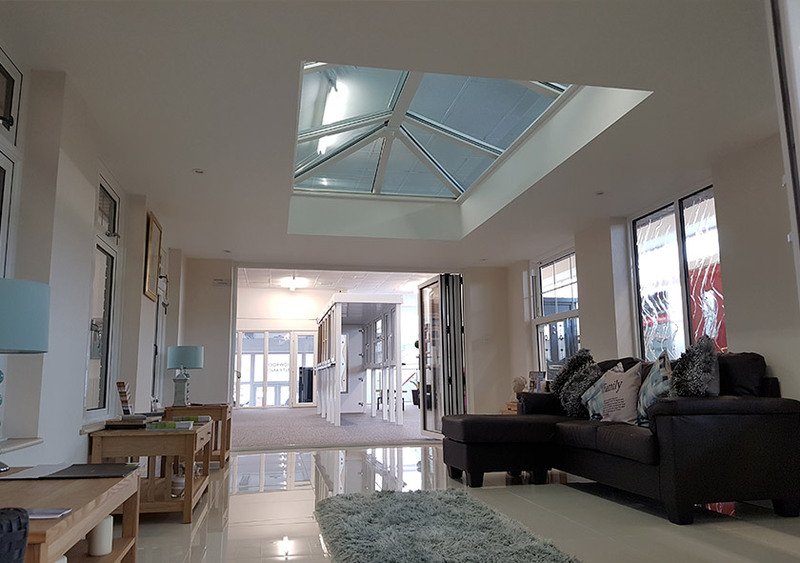 Our orangeries tend to use high performance lantern roofs, which are fitted on the flat roof. This roof not only brings in streams of light – it also helps to improve noise and thermal insulation. 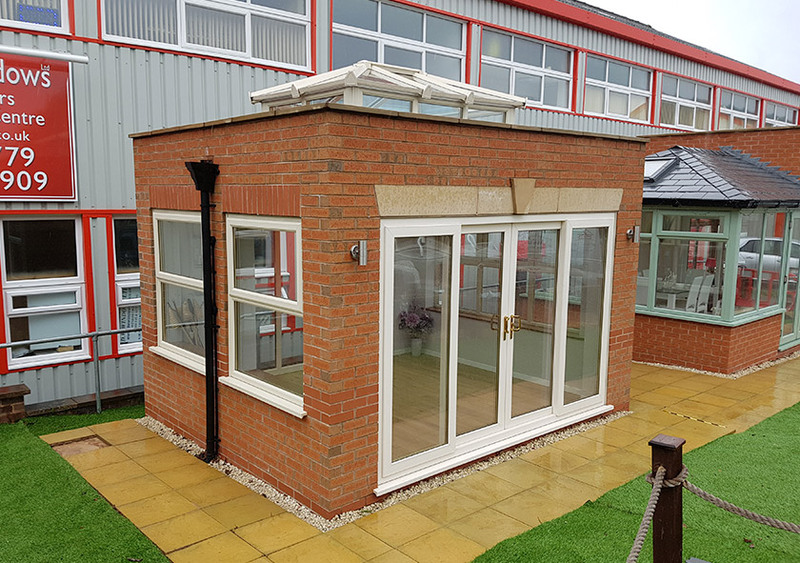 The key difference with an orangery is that is features a more substantial structure, usually with solid brick pillars. Internally, a lantern roof is bordered by an impressive vaulted ceiling. 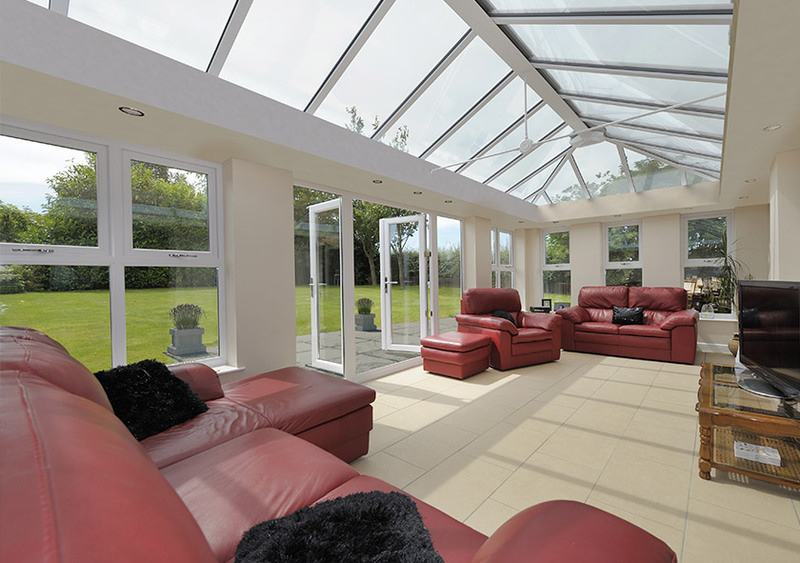 One of the key appealing factors with orangeries is that they can be customised inside. More brickwork and solid walls make for more opportunities for wallpaper, paint and other interior design features. 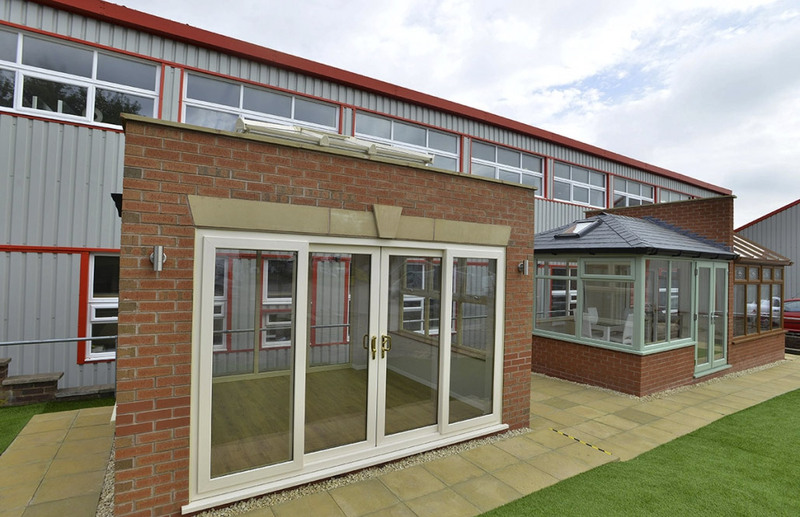 An orangery makes it easy for your home improvements to reflect your personality. 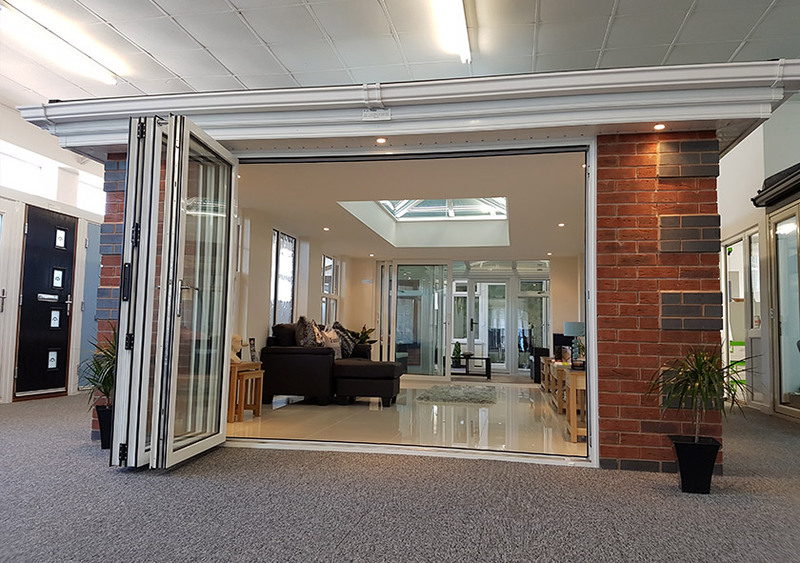 Thanks to modern technology, our orangery installations offer impressive thermal performance - whether you choose a brick build or a fully glazed orangery. You can even choose triple glazed windows and doors for increased thermal insulation. In order to achieve open-plan living, home improvements must achieve a high level of energy efficiency. Thankfully, at DW windows we can design and build orangeries that meet these stringent requirements. 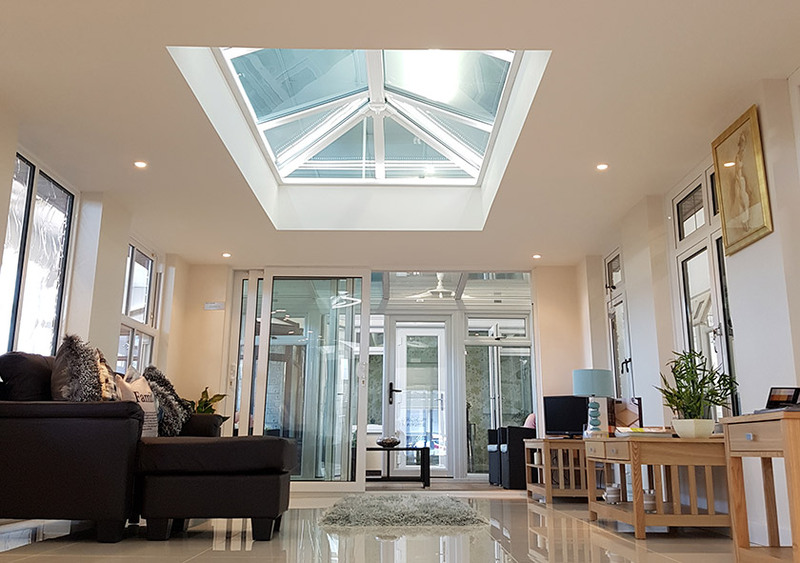 One of the primary features of an orangery is its glass lantern roof - a small, vaulted glass roof that sits within a larger flat roof. This creates a ceiling perimeter in the orangery's interior, which is called a 'pelmet'. Spot lighting is a popular addition, meaning an orangery room can be used at night, as well as letting in an abundance of natural light during the day. The lines between traditional conservatories, orangeries and extensions has blurred - especially when it comes to roofs. 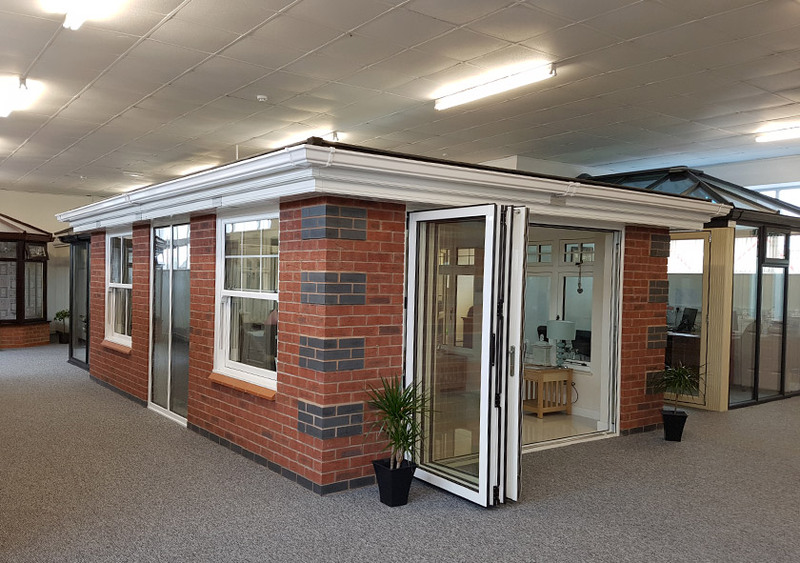 Now, you can choose whichever roof you like for your new orangery, including full glass, flat roofs, roof lanterns and tiled roofs.